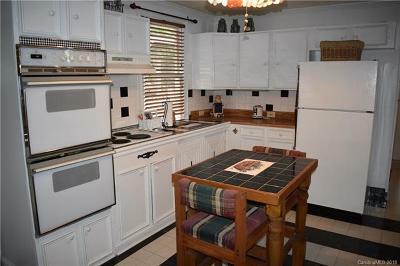 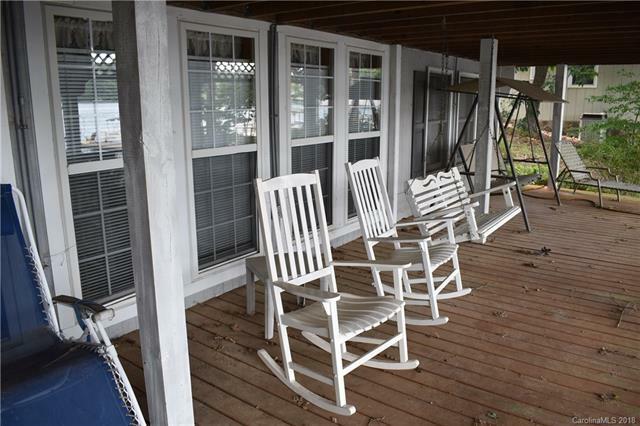 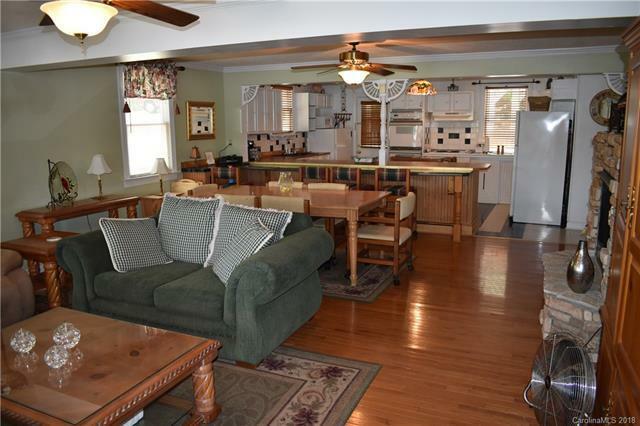 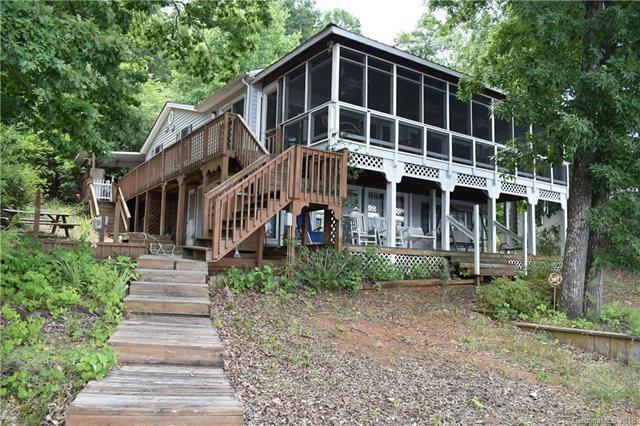 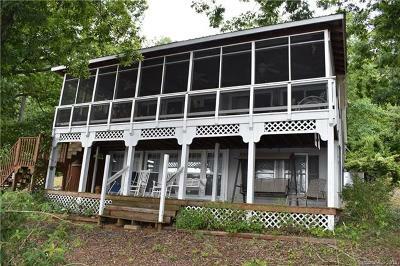 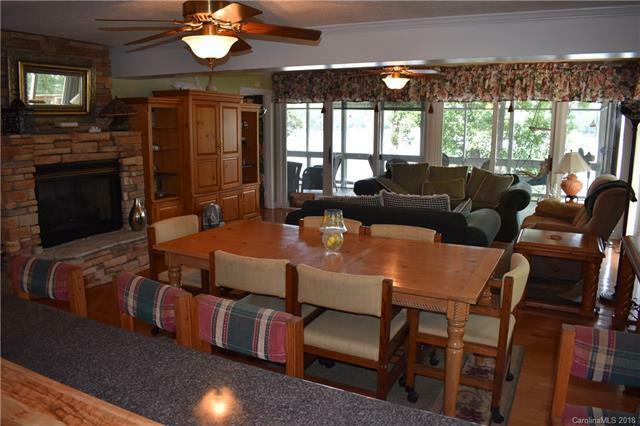 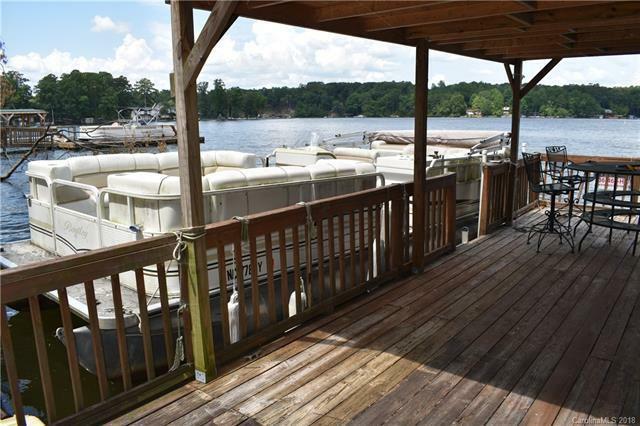 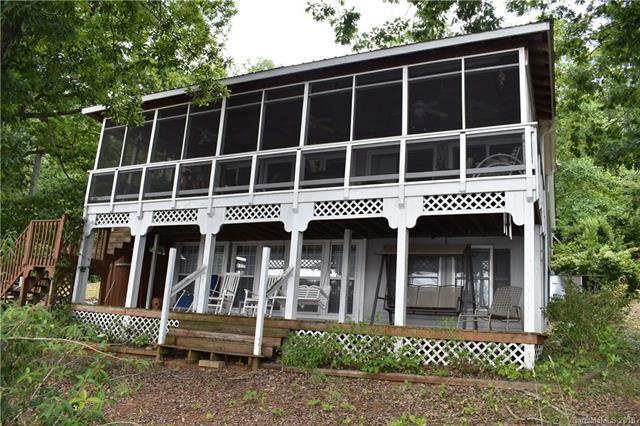 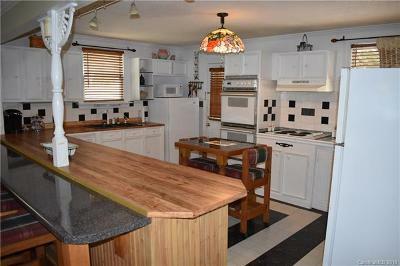 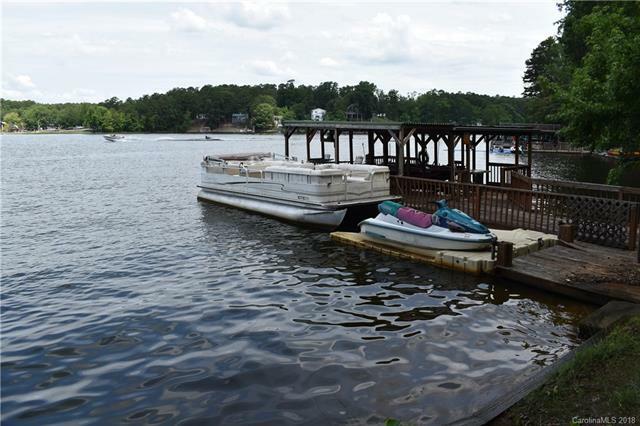 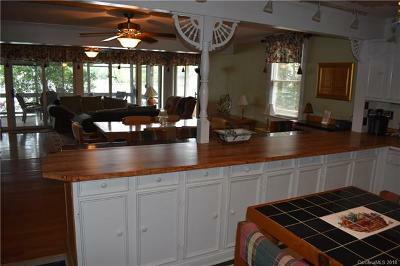 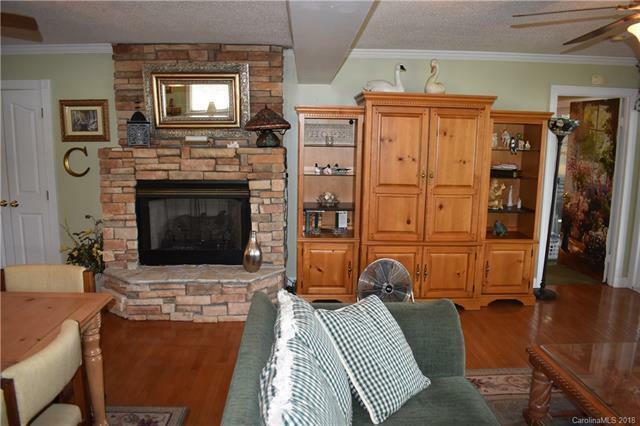 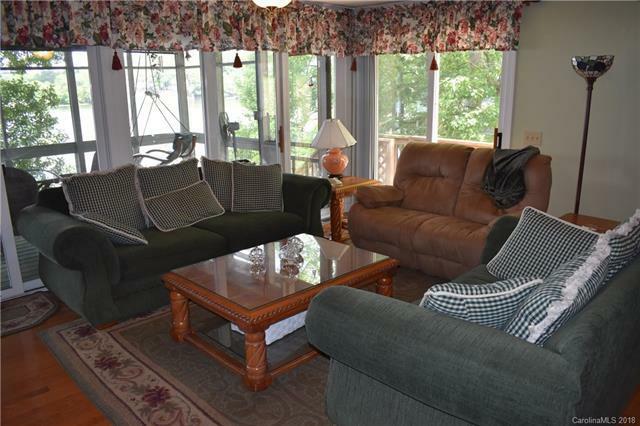 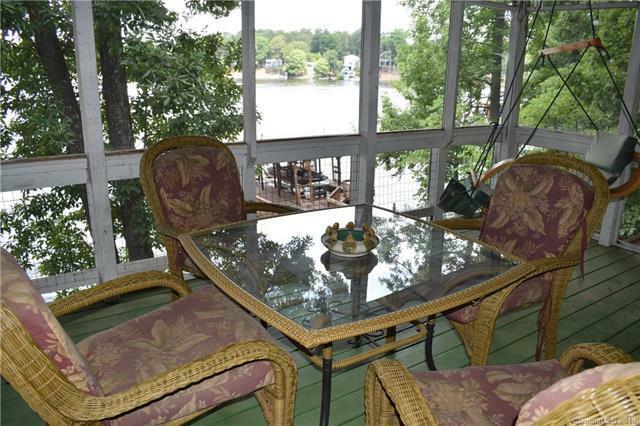 This Badin Lake waterfront home is located on open water with views in multiple directions. Three waterfront lots total (.4 acres), and 149 feet of waterfrontage. 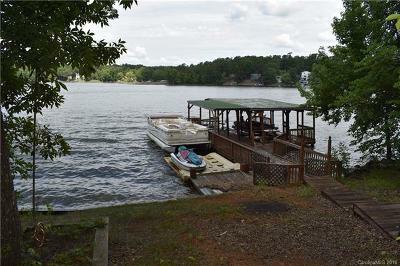 Stationary pier with covered boat slip and lift, covered sitting area, 2 PWC ports, and seawall. The main level features an open floor plan with two bedrooms, kitchen, dining area, and living room with fireplace. 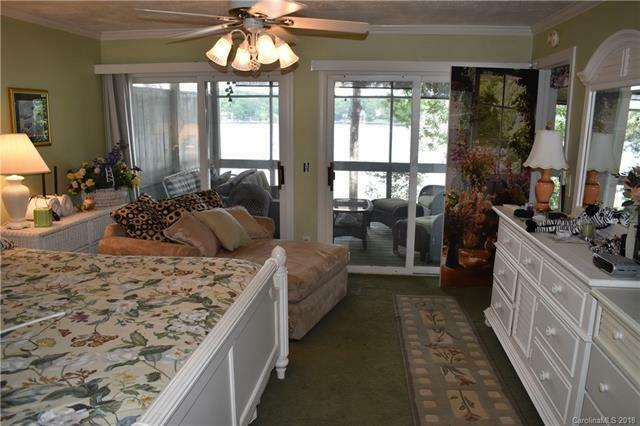 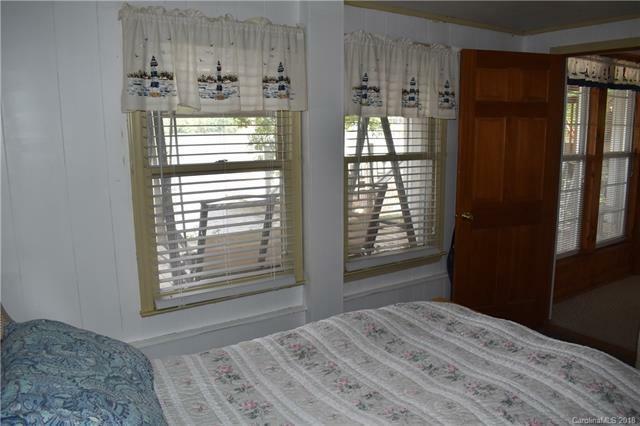 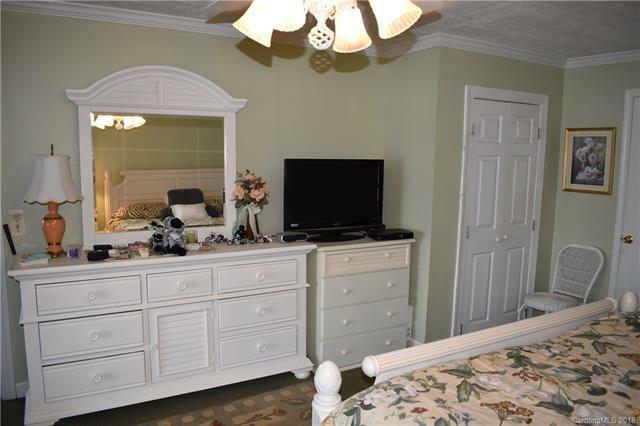 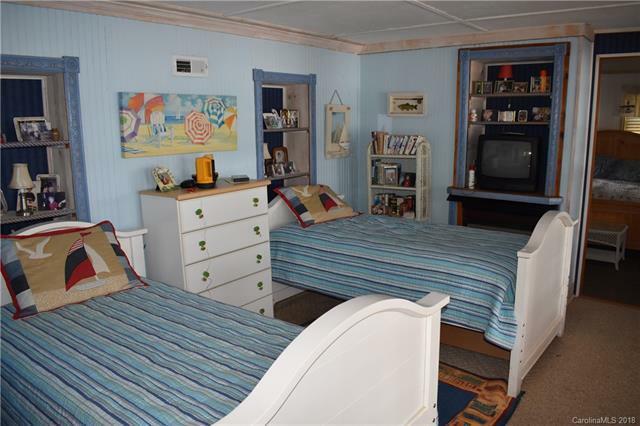 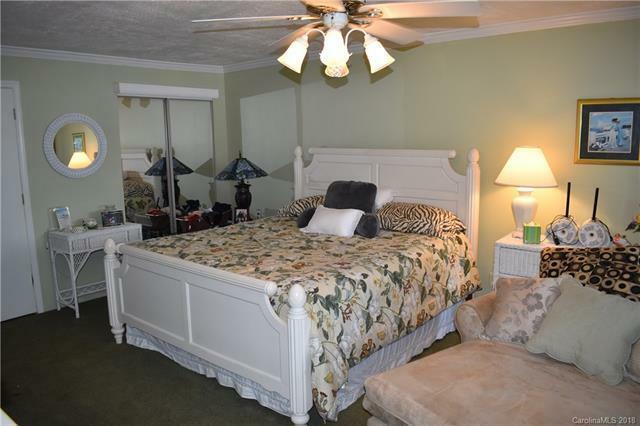 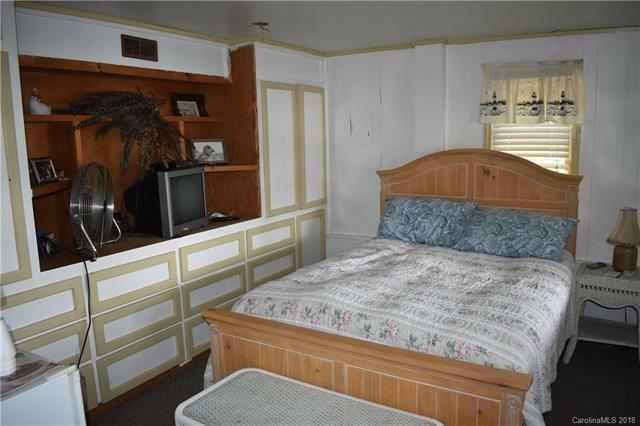 The spacious master bedroom is lakeside with views. 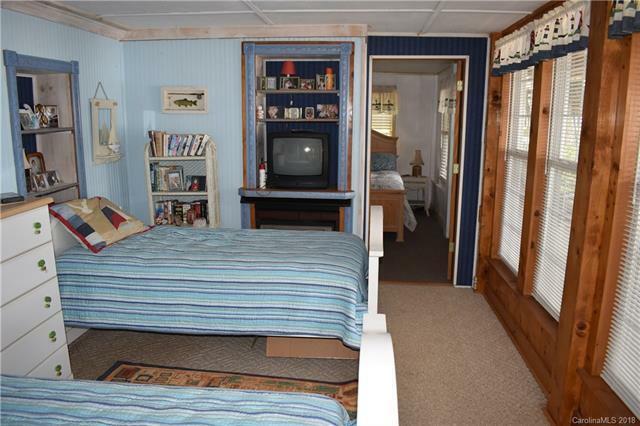 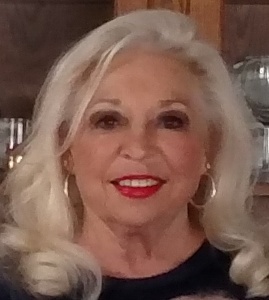 Ceiling fans with remotes. 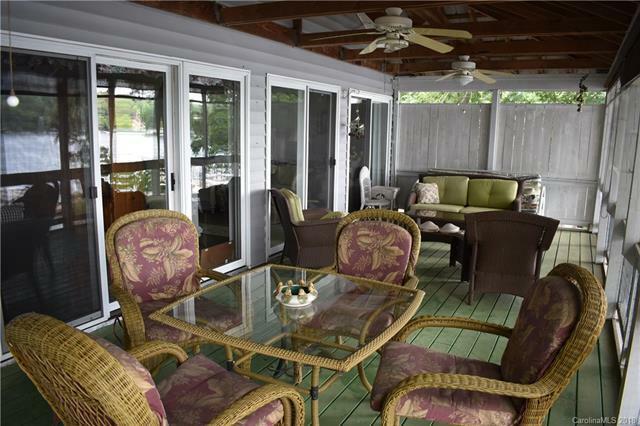 A large lakefront screened porch with ceiling fans spans the entire front of the home. 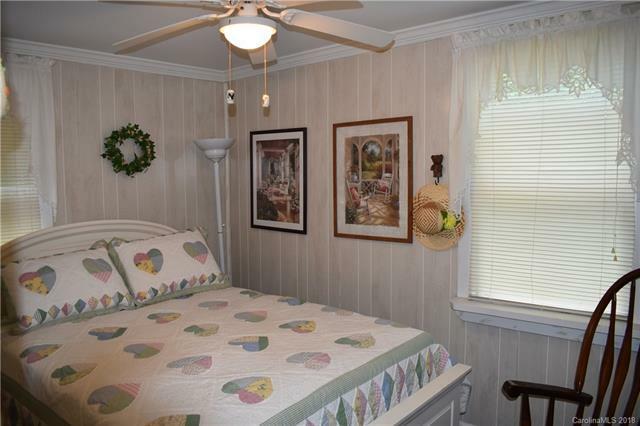 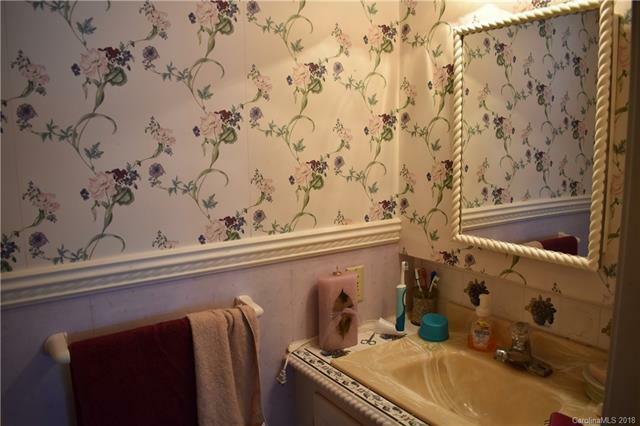 The basement area includes two rooms currently being used as bedrooms, and a full bathroom. 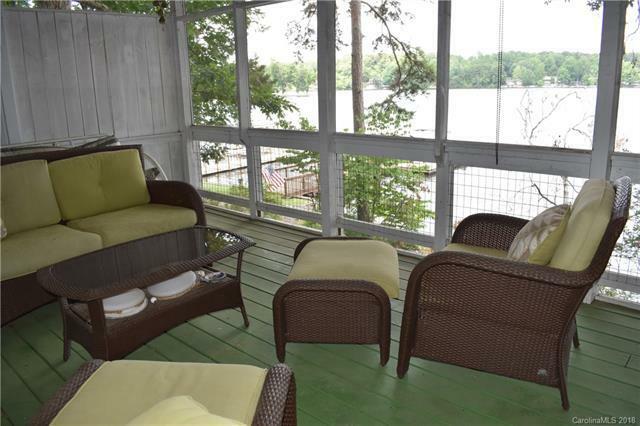 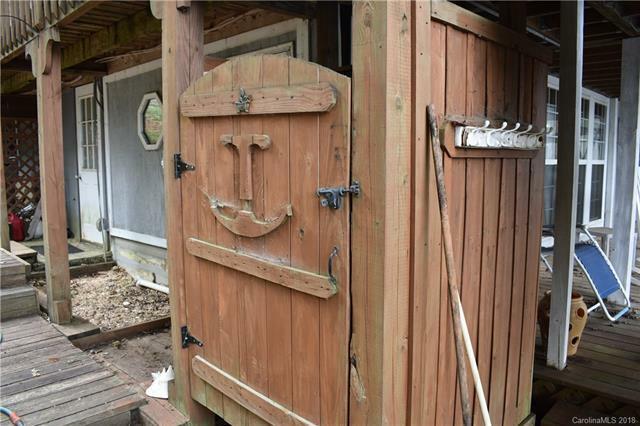 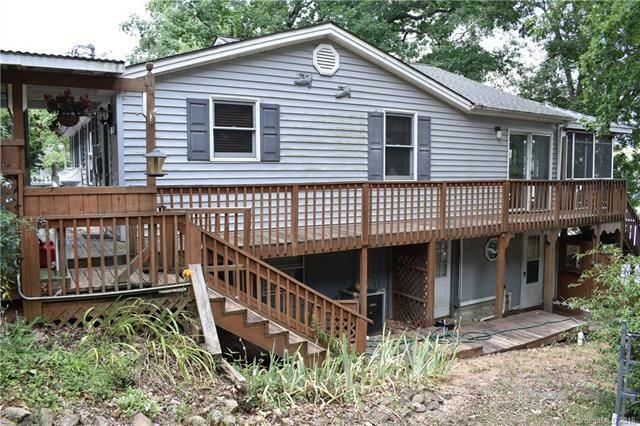 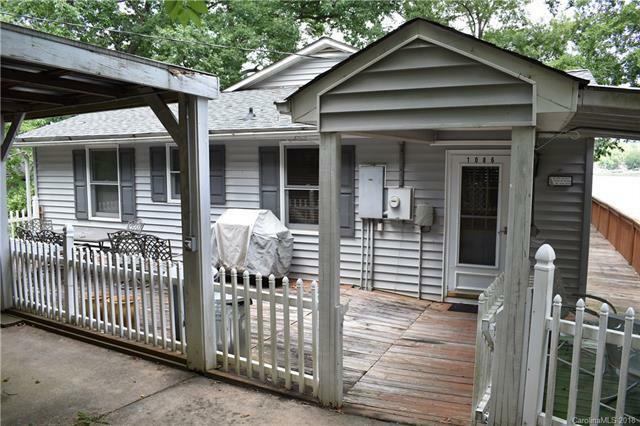 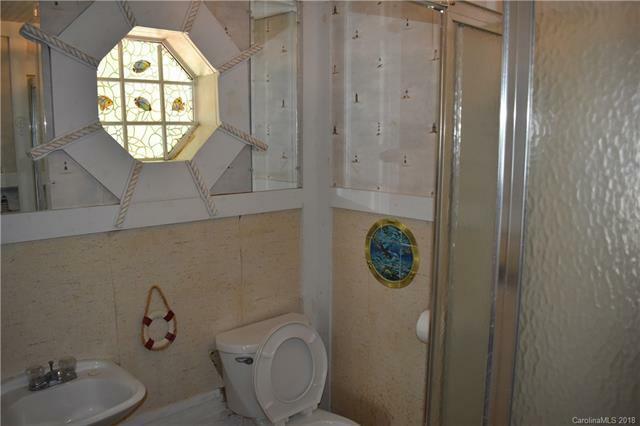 Covered, lakefront deck off the basement, and an outdoor shower. 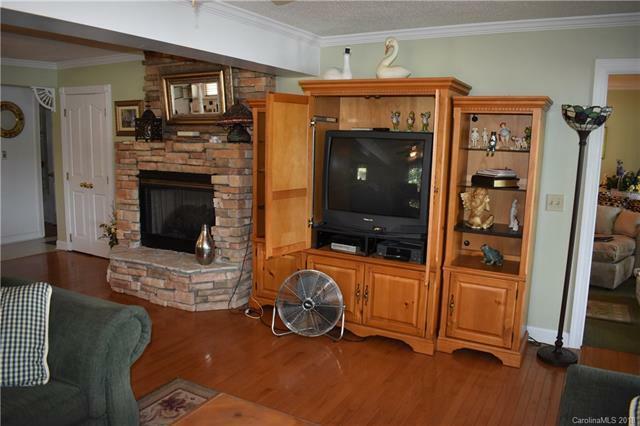 Basement shop/storage area. 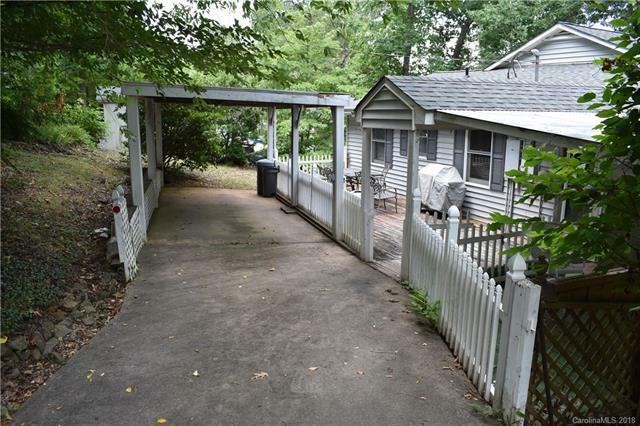 Concrete driveway and carport. 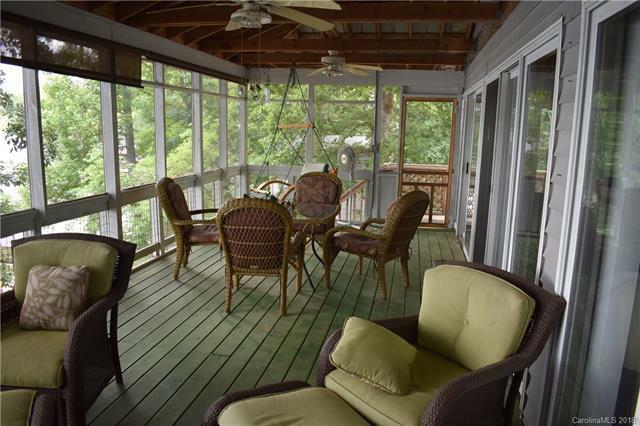 Roadside covered deck and grilling area. 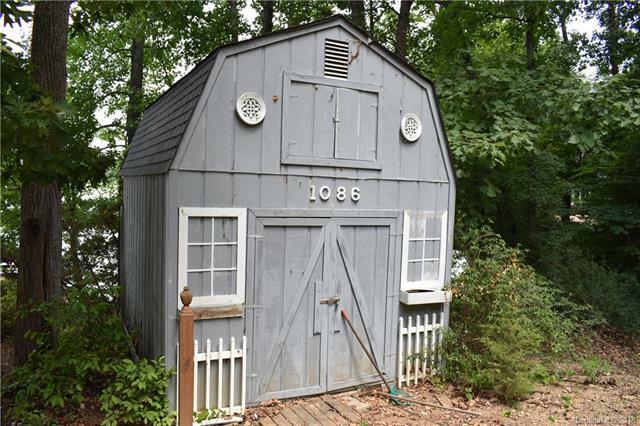 Huge storage building. 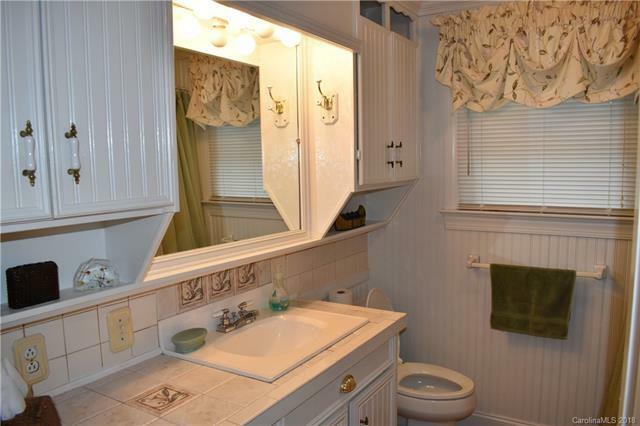 Sewer fees paid and connected. 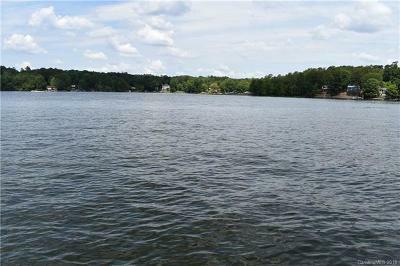 Additional lot across street available for purchase (.11 acres). 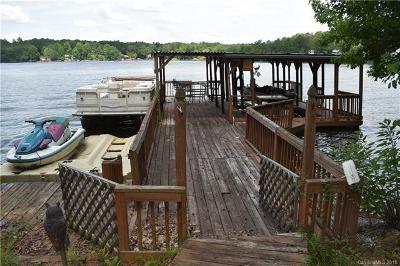 Boat, jet ski, and furniture negotiable.